Look out It’s A Bugs Life!! What a unique, incredible, amazing design in this Bugs Life Slide Combo. 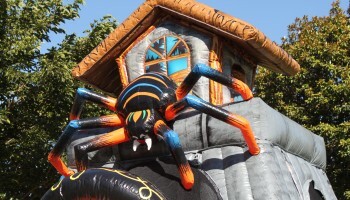 Two fake but highly detailed inflatable spiders (non poisonous) are mounted to inflatable structure to look like they are climbing the building. Beautiful digital graphic printing makes this old house look like no one has been it for years. 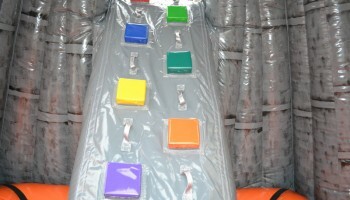 Included in the Bugs Life Slide Combo is a 13×13 jumping area in the lower party of the Inflatable. 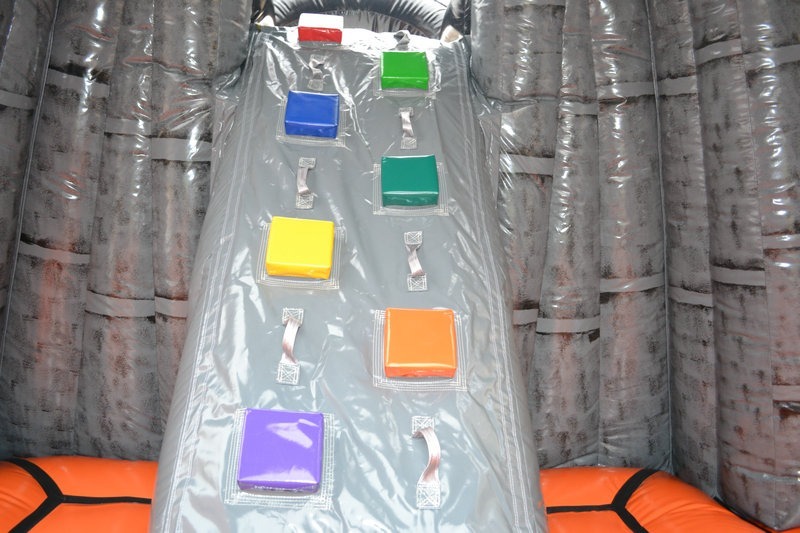 There is a set of stairs built inside the bouncer. 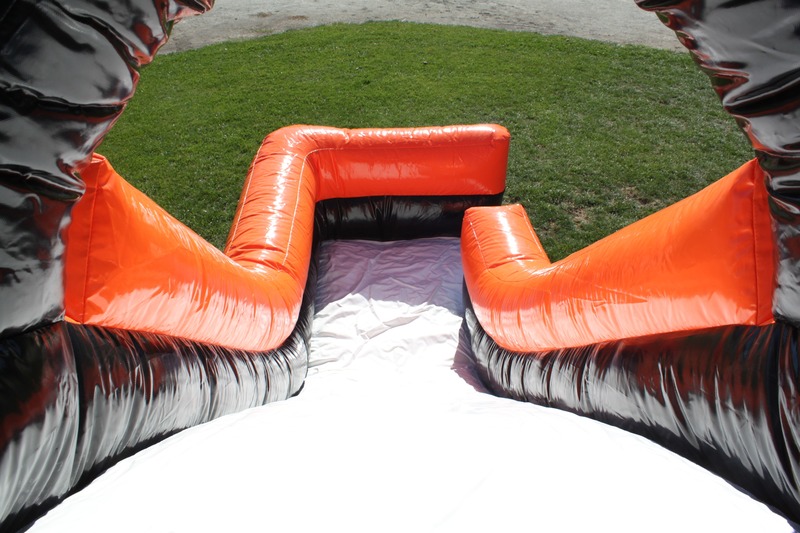 Once there you start your way to the top of Bugs Life Slide Combo and slide down the slide. 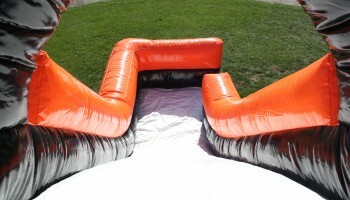 The Bugs Life Slide Combo is a unique inflatable slide combo you won’t see anywhere else. 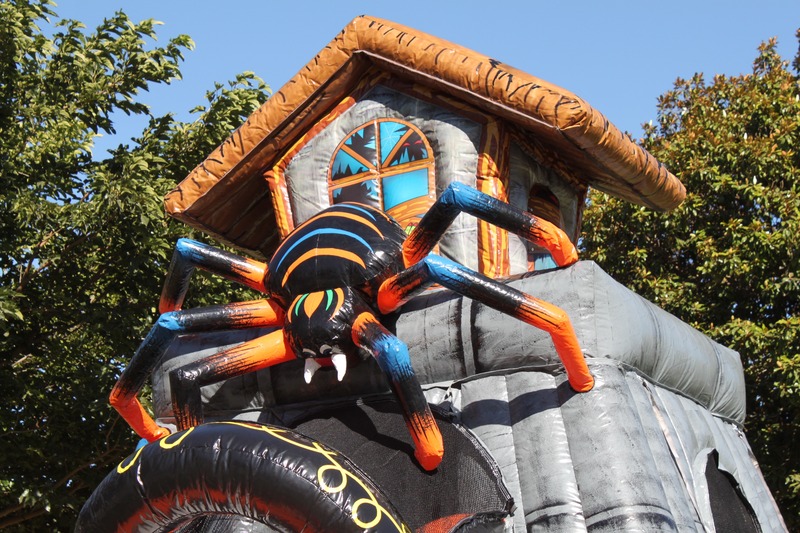 The Bugs Life Slide Combo is perfect for any Fall festival, school carnival, Halloween event. 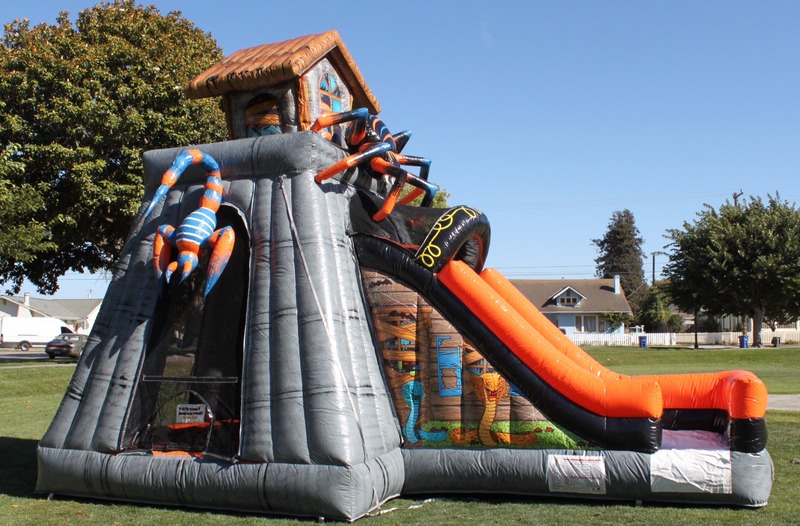 This Bugs Life Slide Combo is always popular for the kids that still want a inflatable at their party but don’t want it to be kiddie. 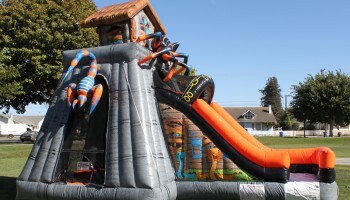 We deliver our Bugs Life Slide Combo to all Northern California Bay Area Cities including San Jose, San Francisco Bay Area, East Bay, and the Monterey Bay.